I have been listening to the same playlist for weeks now...and I thought it was about time I shared it with you guys. It's no surprise that I'm a huge fan of British music, especially from the 80s (Love you forever, Morrissey). No, not just because I'm practically begging the Queen and Dave Cam to grant me dual citizenship, I just love the sound. I love the guitar riffs and the accents paired with the (sometimes) downright cheesy lyrics and the way it all feels so effortlessly cool. It makes me want to learn guitar and sit in my garage all day writing lyrics in ripped jeans and Doc Martens. It's just brilliant. 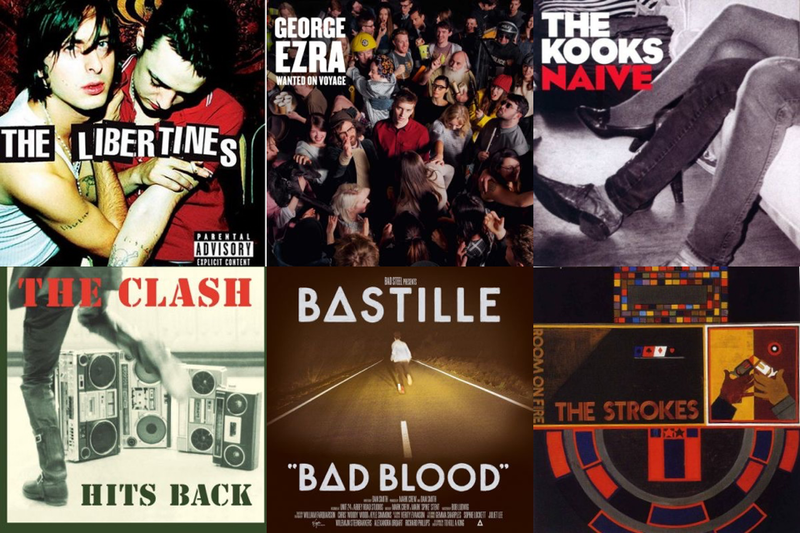 I've compiled a few of my favorites from some pretty killer British bands (as well as a few Americans that I've snuck in because A. they go so well, and B. they're technically 'british inspired', so please don't kill me when you see The Strokes, The White Stripes, and The Ramones). There are some seriously wicked tunes on here, but my current favorites are = The Pigeon Detectives - Take Her Back, The Fratelli's - A Whistle for the Choir, Bastille - Flaws, The Kooks - She Moves in Her Own Way and Do You Wanna, and The Strokes - 12:51. OBSESSED. Give it a listen and tell me what you think. If you want some old school American tracks as well, look no further than my Vintage Playlist. You're welcome.